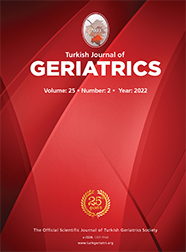 Marmara University School of Medicine Department of Audiology, ISTANBUL Introduction: The aim of the present study was to evaluate the changes in temporal resolution with aging and the effects of these age-related changes on speech recognition performance. Materials and Method: 30 young adults with normal-hearing (aged 18 to 30 years) and 25 elderly adults with normal-hearing (aged 60 to 80 years), a total of 55 participants, were included in the study. For each subject, Gaps in Noise Test, Acceptable Noise Level test and Speech Recognition Tests were carried out. Results: No significant difference was observed between the groups in terms of Most Comfortable Level, Background Noise Level and Acceptable Noise Level while there were significant differences in terms of Gaps in Noise threshold, Total Percentage Score and Speech Recognition Scores (p=0.0001). The elderly group had a significantly higher Gaps in Noise threshold and lower Total Percentage Score compared to the younger group. Also, the mean score of speech recognition in the elderly group under all conditions was significantly lower than the younger group (p=0.0001).